Chris is a Master Photographer, Photographic Craftsman, and Certified Professional Photographer, as well as an Associate and Photographic Fellow in the MDPPA. He has served for 6 years as a CPP Liaison and routinely mentors photographers who are working toward Certification. 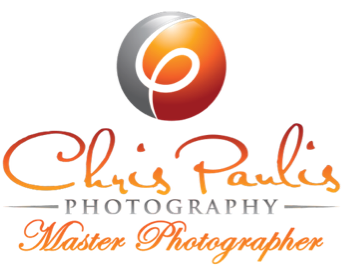 Chris is an active member of Professional Photographers of America, the American Society of Photography, and the Maryland Professional Photographers Association. He is committed to teaching and continuous learning, and to participating in photographic competition at the state, district, and international levels at least six times each year. It was a joy getting to work with Chris! He has such an easygoing personality and several people from my company commented on how much they enjoyed meeting him, as well as the excellent quality of his work. We have already reached out to him for future photo shoots based on our excellent first impression. I would highly recommend him to anyone. I presented Mr. Paulis with a challenging job requiring a lot of out-of-the-box thinking. He rose to the occasion with enthusiasm and creativity, working through every possibility to get the photos right. I'm so appreciative! Chris was well prepared for my photo shoot which he had to travel to. One he understood the parameters of the project, he pitched right in and assisted in in the tedious task of mounting my drawing to a wall while preparing for the next shot …He is super efficient also. Chris supported me through a very difficult shoot with a high degree of post-digital work, he told me the price upfront for the extended effort and his time and I agreed. I am more than thoroughly satisfied with our joint venture. It was a pleasure, Chris was very open to educating me and has a wealth of valuable industry experience. I've learned more in my interactions with him than I ever learned in researching product photography on my own. I highly recommend him. Chris’s quality of work is excellent as well as his professionalism, responsiveness, punctuality, and value. He kept me informed every step of the way through our project and was willing to work with me to get the photographs to my satisfaction. I am very pleased with the final product. Thank you. Chris was great to work with and was amazing with our quartets. He was very timely in posting photos once the project was completed, and they were excellent! Chris is a true artist and exemplary professional. The architectural photographs that he captured and created for our small contribution at Bowie State University have left us speechless. We only dared to dream of the images that we wanted – he delivered them and much more. We will retain him again – if he's willing – for our next project in the DC area. If you need a photographer, I cannot think of anyone that I could recommend to you as highly as Mr. Paulis. It has been a great experience. Chris did an incredible job with our corporate head-shots & group photo. Everything from start to finish seemed effortless on our end. We appreciated his flexibility most of all. From his willingness to travel to our office to taking photos outside & inside to accommodate our needs. I would recommend anyone to Chris Paulis Photography.